I love visiting cities. I go often with empty arms and usually come back full. Full with new ideas, with fresh thinking, with inspiration and hopefulness. What I was intrigued by was how much of our conversation diverged into conversations about politics. Maybe it’s just the lens that I see things out of these days but it seemed to come up time and time again. Emma Bearman formally of Culture Vulture and now all round Leeds city creative enquirer & connector opened the conversation, handing over to Ronnie Hughes from the Granby Four Streets project. The conversation had ebbs and flows, we went round the houses and we found paths no one had taken before. We revealed our mistakes and our defiant and disobedient acts. We found common ground and opposing ideologies. I am more than sure each of us will take different things away from the conversation but here is what has resonated with me since our gathering last week. Most of the time our action and our practice exists outside of the mainstream systems. We are bringing about change from the bottom up. “Community led” as it were. The elected representatives, paid council officers and established community organisations were viewed with mixed opinions. Often they were seen as more of a hindrance than a help. Too many paper pushers and bureaucrats made change difficult and the most effective strategy seemed to be to by-pass the formal structures for as long as possible. Was this a liberal ideology? This idea of an unhelpful state made some of those in the conversation wonder if they could be considered to be “right wing” but a right wing government that cut deeper and deeper into creative budgets and into safety net and life line support for the most vulnerable wasn’t something anyone around the table wanted. This lead to a discussion around whether the idea of left and right wing politics has become so polarised it has become unhelpful. Are all political labels divisive? Many of us recognised the tension between doing things because we were paid to do them and doing things because of love. We critiqued the public servants that adhered first to protocol over person. We critiqued our own practice when because of funding, prestige or platform we took the safe options, put outputs before outcomes, put position before people. We reflected on how hard it is to stay detoxed from all of these things. That when you become good at something, the pull away from that same thing you started out of love becomes stronger because the temptations become more. Hearing of the Granby Four Streets project it was clear to see that some things can only be done through love. This project could not have happened any other way. It could not have been in anyone’s regeneration masterplan or development programme. To take the journey those guys have taken needs a different blue print. A blue print of faith, hope and love. It also needs an act of laying down one’s own agenda and knowing when to let something go. We continue to collide from time to time, to connect through these “Pop-up conversation”, is this enough? Can this DIY place stuff grow, can the stories of creative practice that is based on some simple values be used like yeast to spread new ways of doing things in other areas. Can the learning that is taking place be shared wider? 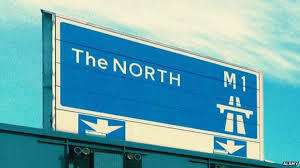 There’s a lot of talk at the moment about The North. Northern powerhouse, devolution. How do our stories connect and converge with this? So far the Northern powerhouse seems to be about the economy and about industry, but aren’t we as the North so much more than that. Where does art fit in the “powerhouse” Can our voices make a crescendo that challenges what is “Nothern power” Do we need a peoples Minister of the North or is it ok to stay under the radar and stay not being good at our practice, stay out of view and just keep doing what we have always done? Thanks to everyone who came and took part in the conversation. It was great and as usual, I left Leeds full of hopefulness, encouragement and inspiration.